Plastic injection molding is an important molding method for plastic products, which is widely used in mass production of plastic products with complex shapes and precise sizes. In the past years, we have been asked lots of questions about plastic injection mold except the tooling cost. Followings are some answers to the most frequently asked questions. 1.Who owns the mold? Plastic Injection Company or client? Both export mold and contract mold belong to customer. We customize the exact products for customer exclusively. The export mold will be shipped to you and run in your factory. For contact mold, we will only do molding with your orders and do regular maintenance for the mold. Above all, we will be more than happy to make a new mold for free to continue the mass production if your order quantity is large enough to run out of the mold life. 2.When can I expect the first shot samples? For samples, we usually ship them by express like DHL, FedEx, UPS, it takes about 3-5 days to arrive at you. Please note that this basic process doesn’t include the time you might need to react. 3.Can we have 50 pieces of samples for testing for T1 samples? Normally T1 samples are not so perfect, it is risky and will be a huge waste to do too much samples for T1. Propose to send 3-5 pieces for you to firstly verify the function, assembly, basic appearance and so on. After that, we can make some more for your testing as you required. 4. When do you apply the texture to the samples? For normal VDI texture, we usually apply normal polish to the injection mold only and do the texture on T2. For big and complex part, it will be better to apply the texture when you confirm there is no design change to the part. Otherwise if you want to change the design or change the texture, we have to polish the original texture and the apply a new texture to the mold. 5.What color code can we select from? 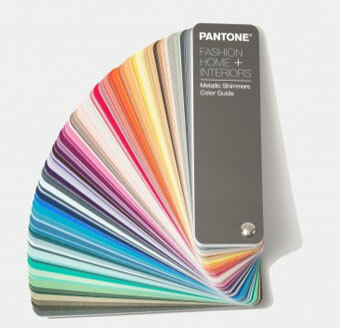 The most commonly used color versions are Pantone color and Ral color, you can search or buy one of them on line. 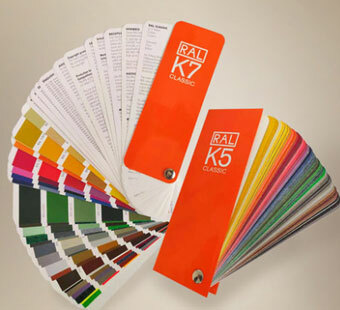 You can also see attached links the Pantone color and Ral color we usually use for reference. Sometimes it will be hard to see from the pictures which color code is the exact one you want, you can send the exact color sample to us so we can match the color with our color pigment supplier. Colorful injection molded plastic parts One of advantages of plastic parts is they can be made in any color you want, and unlike metal parts, it is easy to do plastic parts in different color. Most of the consumer products need to be ... Custom injection mold making for US companies 70% injection molds made by ACO MOLD are exported to US or European companies, these injection molds are usually required to be SPI Class 101, guaranteed 1 million cycles or more, mold standard apply ... How does the injection mold change the world? Injection molds becomes a very important part in the modern society. Plastic mold manufacturers almost can create anything, functional or aesthetic which broadens the vision of businessmen, artists, ... Causes of Silver Streaks in Injection Molded Parts Silver Streaks in injection molded parts include surface bubbles and internal pores. The main cause of defects is the interference of gases (mainly water vapor, decomposition gas, solvent gas, air). ... How to Improve the Mold Quality? Introduce the mold quality effect factors , the basic ways of mold quality improving, and typical cases in using right methold and maintenance.